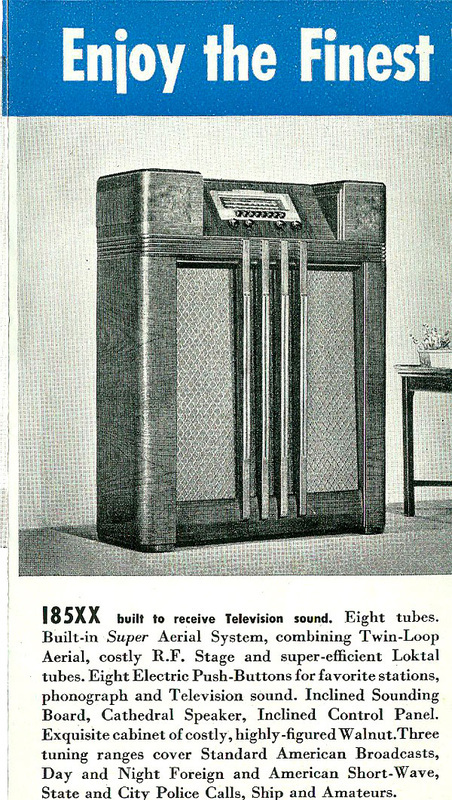 This is a 8 tube superheterodyne “all wave” console with push-button tuning, built in adjustable loop antenna and a “slide rule” dial. 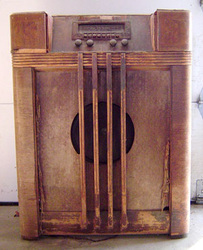 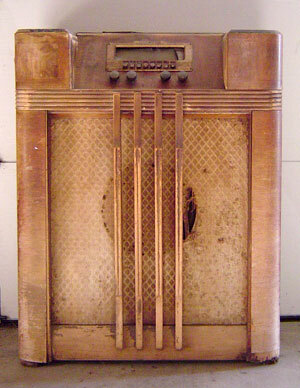 It has the slanted front introduced by Philco in 1938 as a “No Squat, No Stoop, No Squint” feature and is also built to receive television sound. 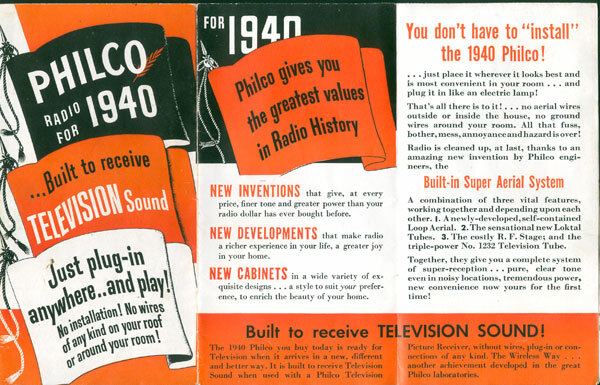 Philco's plan for television implementation was to augment your radio with a video unit equipped with a low power transmitter for the audio. 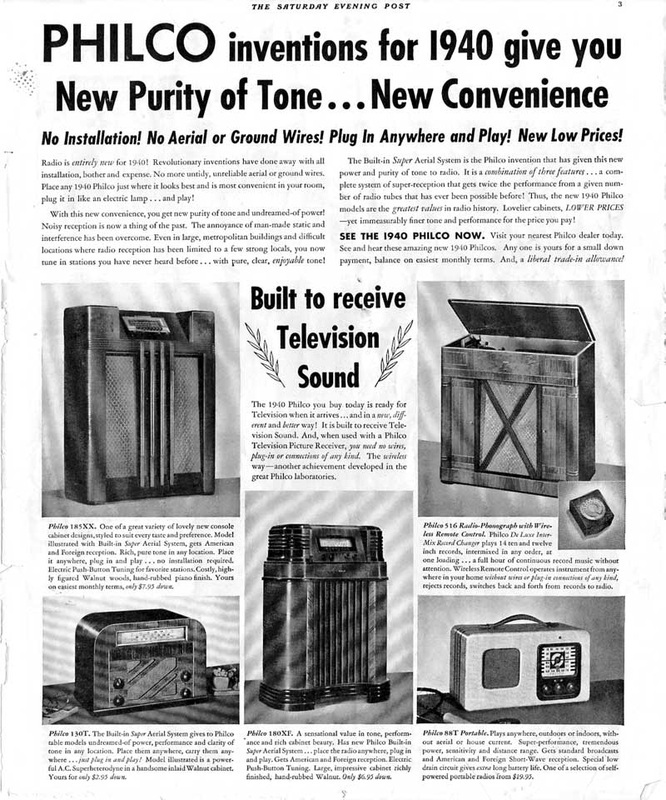 Thus your radio would not be outdated when television finally arrived. 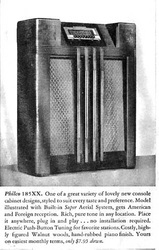 Philco began in 1906 as the Philadelphia Storage Battery Company, a maker of batteries and power supplies. 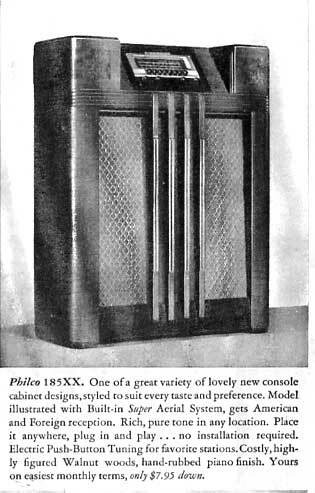 In 1927, Philco made its first radios and from there grew to be one of the largest of all radio manufacturers. 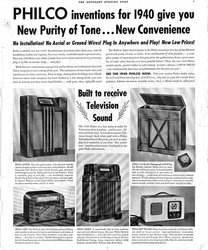 Philco was purchased by Ford Motor Company in 1961 and became Philco-Ford. 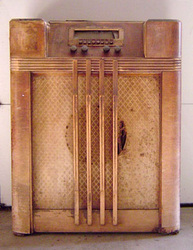 Ford sold Philco to GTE-Sylvania in 1974. Philco eventually became part of Philips Consumer Electronics Corporation known today for their Philips Magnavox line of consumer electronics products.